Explanation: How will cows survive on the Moon? One of the most vexing questions asked about space, scientists have spent decades debating this key issue. 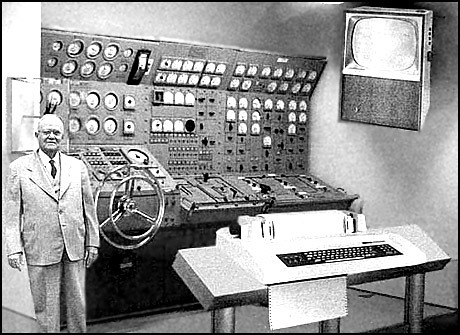 Finally, after extensive computer modeling and over a dozen midnight milkings, engineers have designed, built, and now tested the new Lunar Grazing Module (LGM), a multi-purpose celestial bovine containment system. By now, many of you will not be surprised to be wished a Happy April Fool’s Day from APOD. To the best of our knowledge, there are no current plans to launch cows into space. For one reason, cows tend to be large animals that don’t launch easily or cheaply. As friendly as cows may be, head-to-head comparisons show that robotic rovers are usually more effective as scientific explorers. 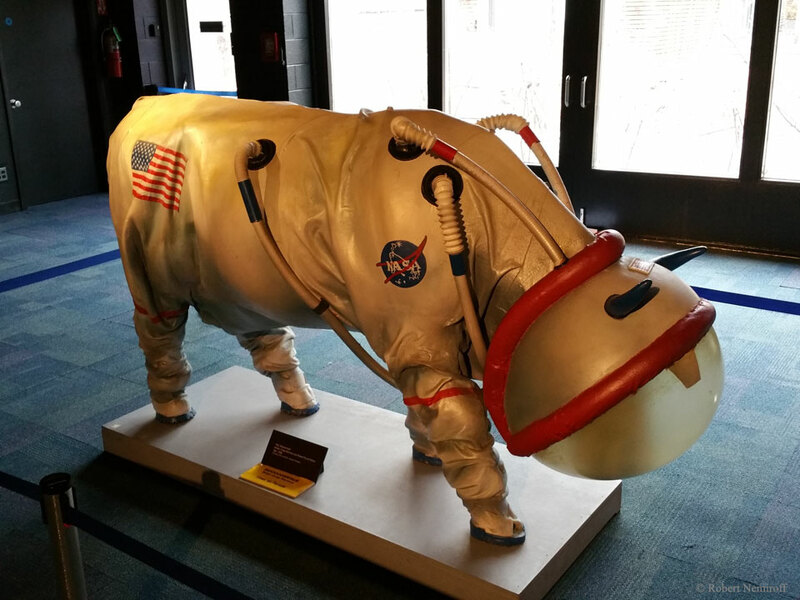 The featured image is of a thought-provoking work of art named “Mooooonwalk” which really is on display at a popular science museum.